Don't replace your tile....make it look new again! Very professional and made sure everything was clean after he was done. My tile and rocks look new again. Darin and Sal did an amazing job with our pool tiles!! They have it looking brand new. You and your neighbor both receive $25.00 off regular price invoice if we clean both pools the same day. You receive 10% off your previous full price invoice. Receive $50.00 off your next pool tile cleaning. Call Elite Pool Tile Cleaning!! 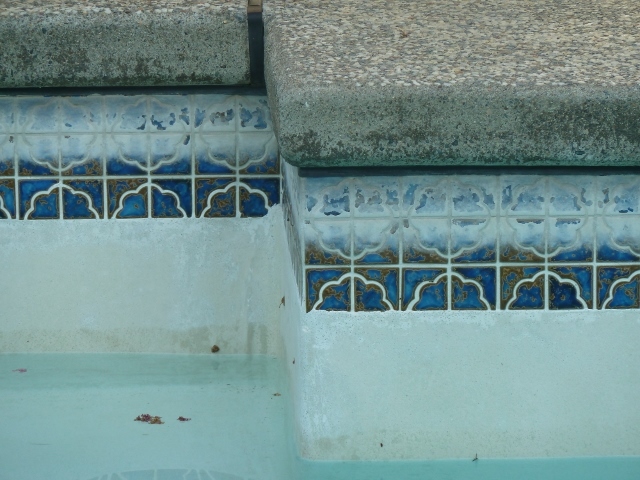 With over 15 years combined experience in pool tile cleaning, and the added benefit of having created the exact process that is used, Elite Pool Tile Cleaning is the answer you are looking for. 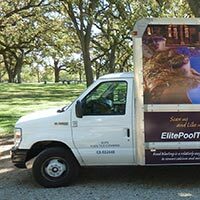 We have created our own mobile truck that contains all the equipment we need to clean your pool tile fast and easy. You can’t miss us, we are all over the greater Sacramento Area. With the effective and efficient truck, you don’t have to be home while we provide you with top of the line pool tile cleaning and customer service. We access all the equipment we need by pulling our trailer up in front of your home and getting right to work, so you can carry on with your routine and come home to new looking tile once again. Slide The Bar In The Image Above To See The Amazing Results! First we drain the water about 8-10″ below the tile. Then we clean the tile using Environmentally Safe glass beads, which are sprayed at the tile at a low air pressure. The calcium buildup is destroyed, leaving the tile surface beautiful again but without damage. The glass beads settle to the bottom of the pool, where it is vacuumed out after the procedure is complete….leaving the pool and spa area crystal clean and ready to swim in!! The whole procedure you will find to be quick and very inexpensive when weighing out the alternatives. 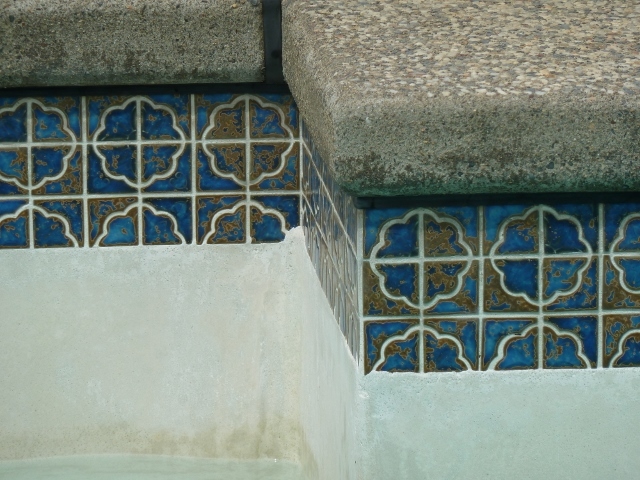 Spend hours and days removing the buildup by hand with a pumice stone (which causes damage to the tile), or use harsh chemicals which mess with the balance of your pool water (unsafe to swim in), or replace the tile (which can be costly), or call Elite Pool Tile Cleaning. You decide, submit your information today and see how much time and money we can save you! !